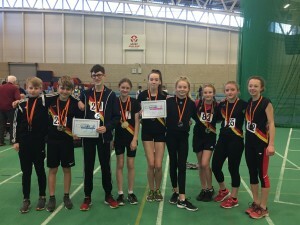 Greater Manchester Sportshall 2019 | Rochdale Harriers & A.C.
Rochdale Harriers & AC entered a team of 13 into the Greater Manchester Sportshall 2019. 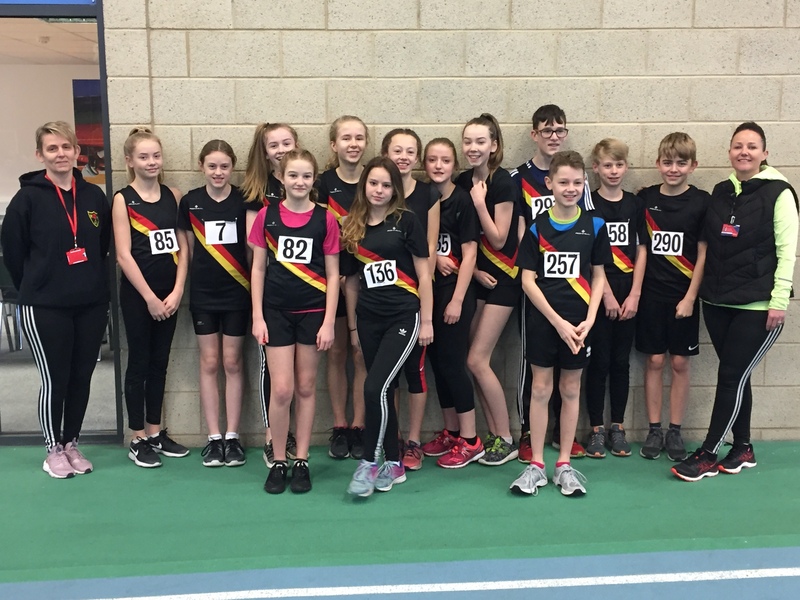 A big thank you to all the athletes that took part and the coaches that made it happen. 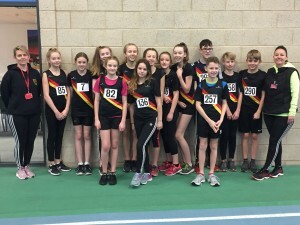 Coaches Lisa and Amanda with the team! There were medals a plenty, with Niamh Dolan taking Golds in the U11s 1 lap and 3 lap; Harry Peacocke taking Silver in the U13s speed bounce and Bronze in the 3 lap; Adam Fern taking Bronze in the U15s 6 lap and Bronze in the standing long jump; Kieran Carrigan took silver in the U15s standing long jump; Maria Kavanagh-Hoy took U15s Silver in the standing long jump; Leah Worsley took U13s Silver in the 4 lap; Katie Wilkinson took Silver in the U13s speed bounce; Dervla Moore took Silver in the U15s speed bounce and Hannah Clough took Silver in the U15s 4 lap. 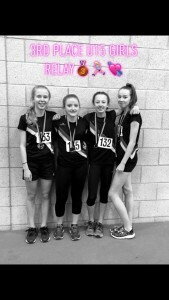 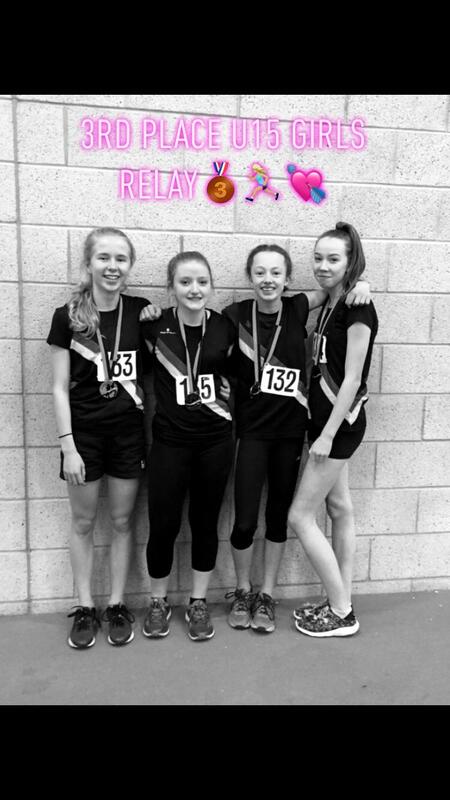 The U15 girls team of Sophie Wilkinson, Dervla Moore, Hannah Clough and Marie Kavanagh-Hoy took Bronze in the U15 girls relay! 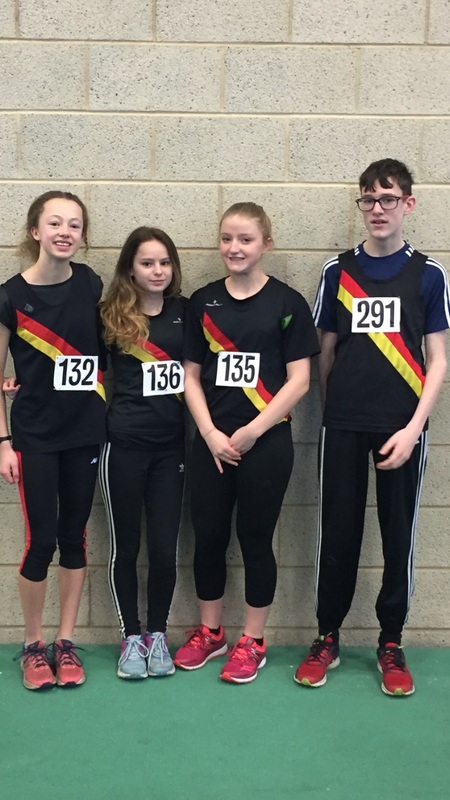 Age catches up with all of us and for some of our U15 athletes, this was their final Sporthall competition. Below from the left, Hannah Clough, Molly Bull, Dervla Moore and Kieran Carrigan.